Let’s face it, if you’re a serious musician practicing several hours a day on top of your ensemble and teaching commitments, you’ve probably been injured at some point. 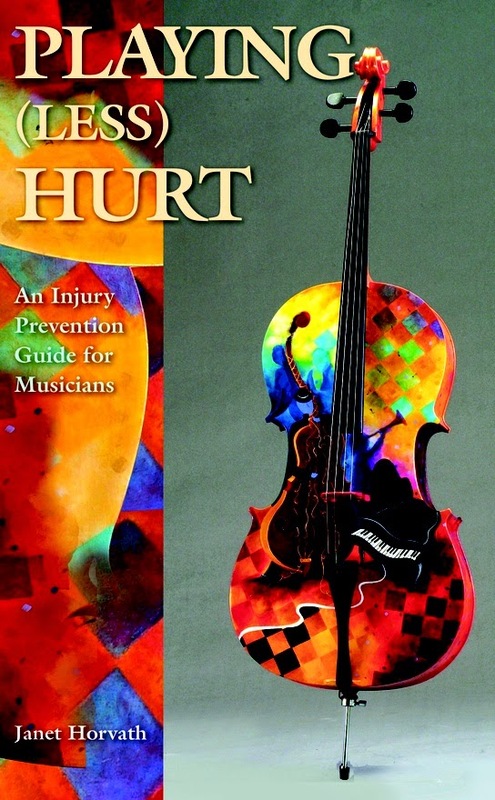 This book is an easy to understand guide about different types of injuries related to being a musician, ways to prevent them, or ways to get help if you’re already injured. The stories from other musicians are very easy to relate to. Although some of them are downright scary, it’s a good reality check reminding us that taking care of yourself is important. I actually finished reading this book a few weeks ago and have been following some of her stretching exercises before and after I play. It makes a big difference in how I feel. The exercises take very little time and the illustrations are easy to understand. As she states throughout the book, this is not a substitute for consulting a doctor. To educate yourself, she has provided an amazing resource list in the back of the book listing different doctors, equipment, and other products that are helpful to finding the answers. Be sure and check out Janet Horvath’s website http://www.playinglesshurt.com for more information.